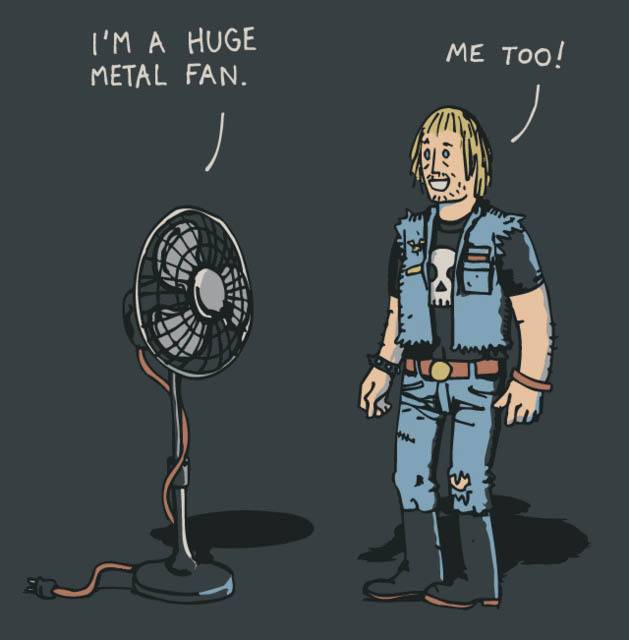 I am a big metal fan, if you haven’t noticed. I am also a big Elvis fan. I also enjoy Johnny Cash, Eminem, Tom Jones, Blues Traveler, Neil Diamond, Too much 80’s music and even some Disco. I even like some of music my daughters listen to, like Hannah Montana and the Jonas Brothers (only a few songs I must admit). If you looked at my iPod, you would think I was a musical schizophrenic. I just like to listen to music that I think sounds good to me. As you may have noticed. I have posted very different types of music here, and if you don’t like it, let me know, and tell me why. I have noticed that some people have a sort of “tunnel vision” (tunnel hearing?) when it comes to music. They like a certain style and stick with it. I just ask that you keep an open mind. Just let me know why you don’t like a certian song I post. Enjoy the blog and have a happy Memorial Day.